For many of its early hand-drawn animated features, Disney would film real actors performing the the roles of the various cartoon characters. The animators would watch these performances as references for their drawings. 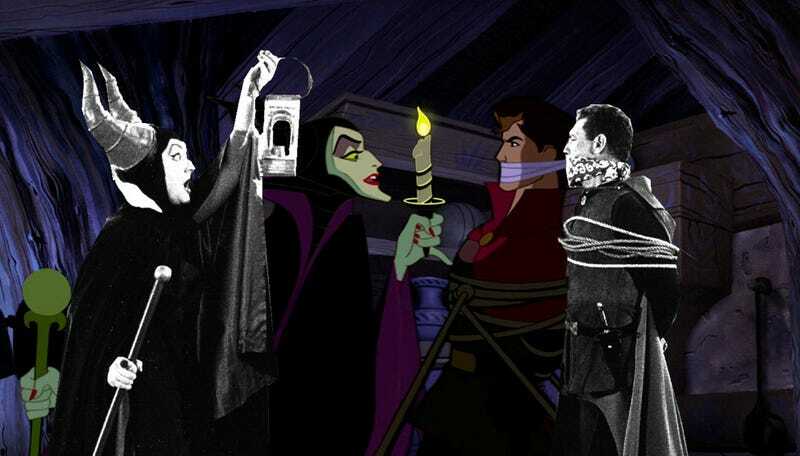 Technicolor Disney has collected several images from these performances, and spliced in the animated characters each actor portrayed. You can see the full set of images at Technicolor Disney.